Alligator evolved in its present form in 2001, after long time Grateful Dead-style jamming partners Jeff Tiedrich and Carl Mink were seeking fresh musicians to play with. With the addition of Sam Mann on bass, a renewed sense of excitement was evident. With the departure of the second guitarist, Mann moved to six string duties and recruited his long-time keyboard cohort, Don Bogut and new friend Ron Danks on bass. The lineup established, Alligator began to woodshed. The choice to specialize in Grateful Dead music was obvious for the boys, who collectively share 108 years of experience Playin' Dead. The members are all veterans of various former Jambands such as Cybopig, Green River, Left Exit, Swahili River Bros., Muddy Creek and American Beauty. 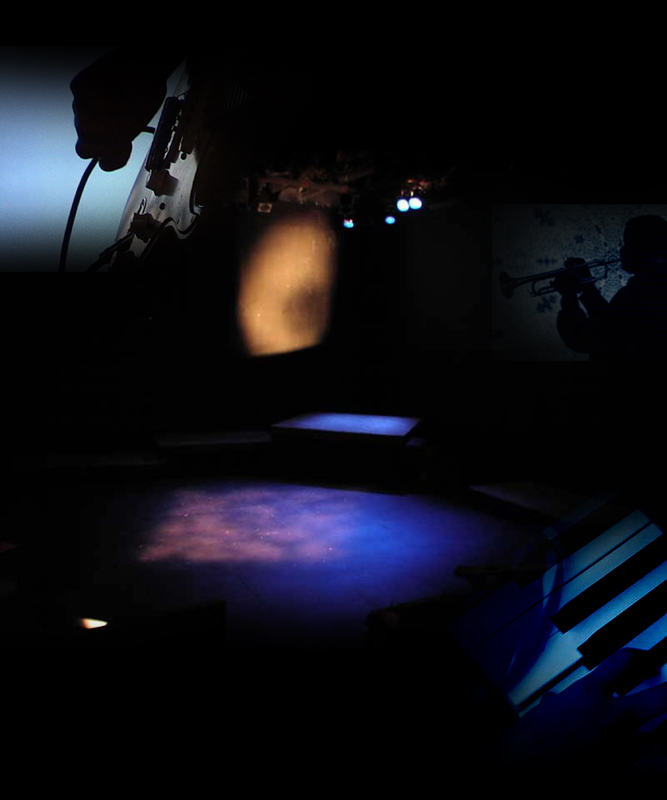 Rehearsing weekly in a Jersey City studio proved costly and inefficient, so Mann converted the basement of his Victorian home into a concert hall, complete with soundstage, PA system, lightshow and bar. They had hoped this location would serve as springboard for private performance and parties. There was no grand plan to ‘breakout' and play clubs. They were in it for the fun of it. One night they were called by a friend who ran the open jam night at The Underpass, in Elmwood Park. The club needed a substitute band for the weekend, so Alligator accepted the challenge. They blew the roof off the joint, and thus began their reputation as a formidable live band. 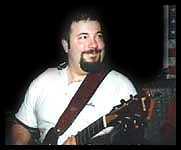 As word spread, Alligator was able to book themselves into many local North Jersey clubs, and has garnered a dedicated following among fans of The Dead, Allman Bros, Phish, String Cheese Incident, and sundry other ‘Jambands'. The web site www.alligatorband.com provides upcoming gigs, past shows and setlists, and soon will include photo and music galleries. Alligator has shared the stage with several local acts including Avalon Ballroom, Workingman's Dead, Spacebar, and Cavern. Jeff Tiedrich-Lead guitar, vocals. Jeff was trained as a drummer in marching band during elementary and high school, making the switch to guitar and piano as a teen. An early prodigy, he has mastered the hand-ear coordination necessary to express himself through music. Jeff is famous among Grateful Dead tape collectors, who have relied on his expertise and vast collection of masters. He can play deftly in any style, acoustic or electric. He uses a Fender Stratocaster through a Fender Twin Reverb amp. Carl Mink – Drums. Carl has held down the beat with Jeff for over 20 years, playing all forms of percussion and drums. His attitude is always positive, and can be found teaching young drummers to appreciate the masters like Buddy Rich and Gene Krupa. Ron Danks – Bass. Ron's goal in life is to be as anonymous as possible. He plays a Fender Precision Bass through an Ampeg V4. Don Bogut – Keyboards, vocals – Don was first trumpet in the Voorhees Regional H.S marching ensemble while learning piano. At college, he met Sam Mann and the two have been playing together since 1983. An accomplished music theory student and composer, he became interested in performance and has fronted Nitemare Potential and The Swahili River Bros. His strong baritone vocal and falsetto combine for some awesome moments in concert. His piano and organ styling are key to Alligator's sound. He uses Roland and Korg instruments. Sam Mann – Rhythm guitar, vocal – Sam began with the clarinet in fourth grade, and subsequently tried drums, E flat Alto Horn, French Horn, and for four years studied classical Piano before settling on guitar and bass. Son of popular music's Dave Mann, composer of Sinatra's Wee Small Hours, Sam was immersed in all music as a child. Broadway and Tin Pan Alley course through his veins. The Beatles, Hank Williams, Led Zeppelin, and Grateful Dead are his modern influences. His guitar playing is chameleon style, referencing what he hears on stage as it happens. His vocals are strong and colored by blues hero Taj Mahal. He plays a custom-shop Ibanez through a Frankenstein rack unit.